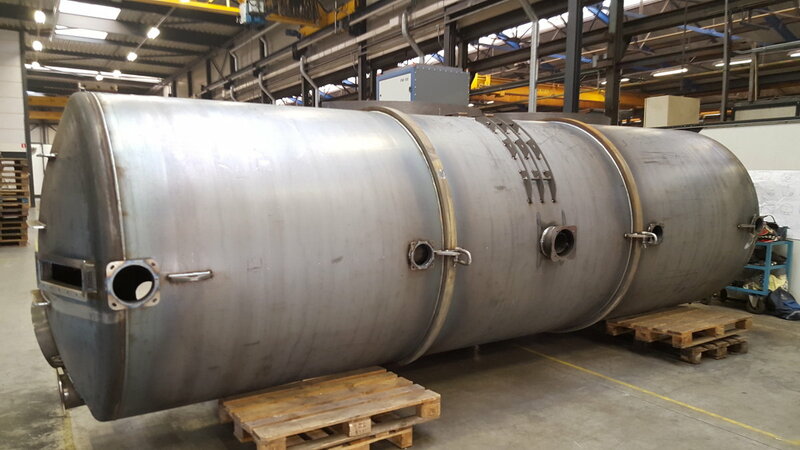 Tank construction | Schuitemaker Machines B.V.
Schuitemaker manufactures complicated steel tanks for storage and/or transport of dry materials and liquids. The tanks, whether big or small, can be fitted with weighing systems, often used for tank wagons to monitor the load per axle or per wheel while on the road. All kinds of filling and/or suction systems can be mounted. Other control systems can be built into these systems for interim checks of the products being loaded or unloaded. Horizontal or vertical steady-state tanks are also possible, of course. 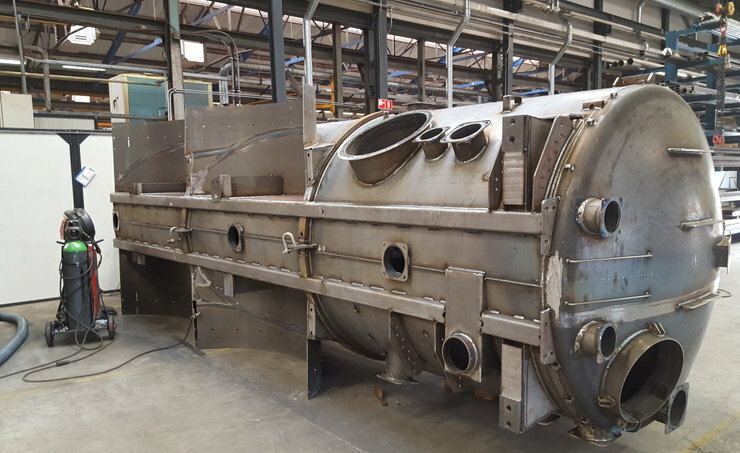 The tanks are supplied with or without material compliance certificates, in hard-wearing models and/or subjected to various testing methods. For protection against corrosion, materials are painted, galvanized or both, and are supplied in any colour or gloss level required. In short: Schuitemaker provides made-to-measure products in several fields of tank construction.